Set redirect incoming email messages in Outlook is part of Microsoft Office package, does not require additional software and can be done by regular means program. Use the most simple way to configure forwarding of incoming messages. To do this, access the main system menu by pressing the "start" button and click "All programs." Open link in Microsoft Outlook and run the application. Expand the menu "tools" in the top toolbar of the program window and select "account settings". Go to the tab "E-mail" dialog box and select the name of your account. Confirm the selected actions by clicking the Edit button and use the button "Other settings". Write the address of the mailbox to which you want to redirect the mail in the "Address response" and save the changes by pressing the OK button. An alternative method of forwarding messages could be the creation of a new rule in Outlook. Select "Mail" in the navigation pane and expand the tools menu, the top bar of the program window. Select "Rules and alerts" and select the Inbox folder in the directory "Apply changes to this folder" dialog box. Use the command "Create rule" button and select the option "Check messages when they arrive" under "Start from a blank rule". Save the changes by pressing the "Next" button, and use the check boxes in the desired row of the criteria mail messages in the following dialog box, "Step 1". Open the link underlined rules in the new dialog box, "Step 2" and enter the required data for the generated rules. Confirm your choice by pressing the "Next" button, and apply the checkbox in the line "send to: "Recipients or distribution list" window in "Step 1". Click "people or distribution list" in the window "Step 2" and select the desired destination in the directory by double click. Save the changes by pressing the OK button, and then click Next. Write the desired name of the rule created in "Step 1" and complete the application. The use of electronic mail , many have long been in the habit. For some it is simply a necessity – for example, for business correspondence. 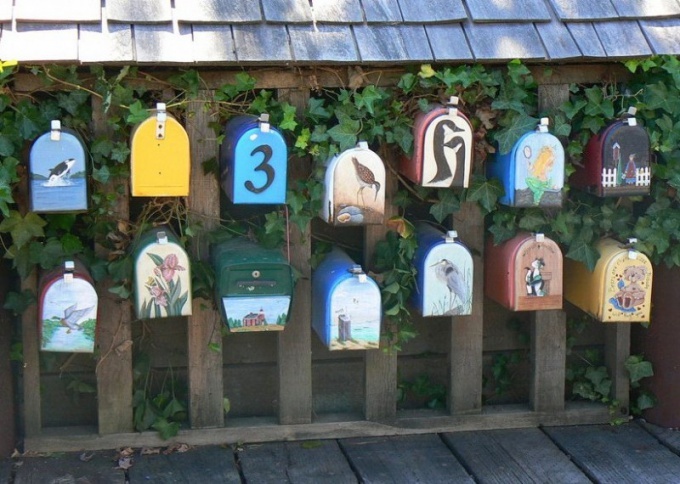 It often happens that one person opened multiple mailboxes – personal, work, and for other purposes. For this reason, there is often a need to setup forwarding of all email to one box. Open a browser to a website where you have registered the mailbox from which you want to configure forwarding. Enter the username and password and log in to the mail. Find the link "settings" and go to it. To configure forwarding mail in two ways. The first method is more appropriate in that case, if you want to forward all letters without exception. Find it in the settings section "call Forwarding" or "Forwarding". In the appropriate field, enter the email addressesto which you want to configure forwarding. Save the changes. The second method is suitable if you want to redirect not all emails, only some. Look in the settings under "Filters". Here you will be able to create one or more filters, under the conditions of which certain letters are routed to the specified mailbox. For example, the filter conditions can utilize a postal address from which a letter arrives, or the presence of certain words in the subject of the incoming letter. If you need to configure forwarding for multiple mailboxes on one, in this case, it may be more convenient the function of collecting mail. To configure the collection, log in to the email on which you want to configure forwarding. In settings, locate the "Collect mail". In the subject field, specify the mailbox address from which you want to forward emails to this mail. Also, you will need to enter the password for each mailbox. When setting up mail forwarding you can also configure additional options. For example, you can specify whether to leave the original letters in the mailbox, which is configured to redirect, or not. The same can be configured to collect the mail.